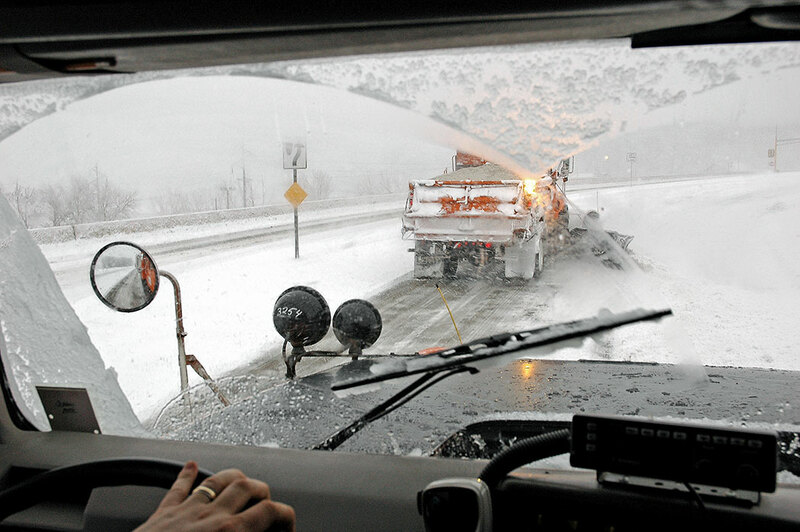 In snowy states, winter maintenance crews deal with everything from freezing rain and black ice to blizzards and even avalanches. 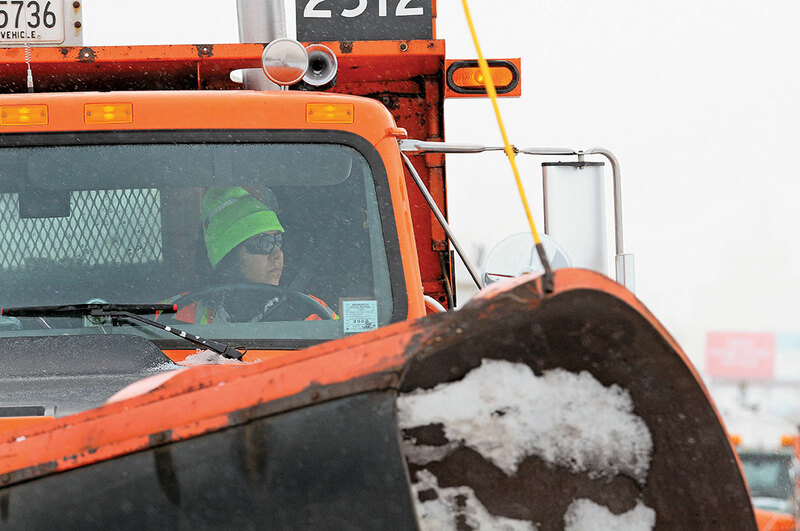 To prepare plow drivers for whatever Mother Nature has in store, state DOTs and other agencies kick off each winter season with training classes. While all states provide some training for their winter maintenance crews, each program has different strengths and focus areas. Until recently, there was no standardized training curriculum addressing all aspects of a plow driver’s experience. The Clear Roads winter maintenance research consortium (clearroads.org) set out to change that, sponsoring a project to develop a snowplow operator and supervisor training program that would cover all the bases. The result: Twenty-two comprehensive training modules covering everything from avalanches to why salt won’t melt ice at 0°. The modules are available to any agency, including city and county highway departments, at no cost. Sproul and other Clear Roads members recognized the need for standardized training materials that would ensure all agencies have access to the same high-quality curriculum. They envisioned a training program that would provide training both for plow operators and for the supervisors responsible for overseeing winter maintenance operations, covering equipment, materials, techniques, procedures and advances in the field. The program needed to be both comprehensive and flexible: Easy for any agency to use, update and modify as needed. 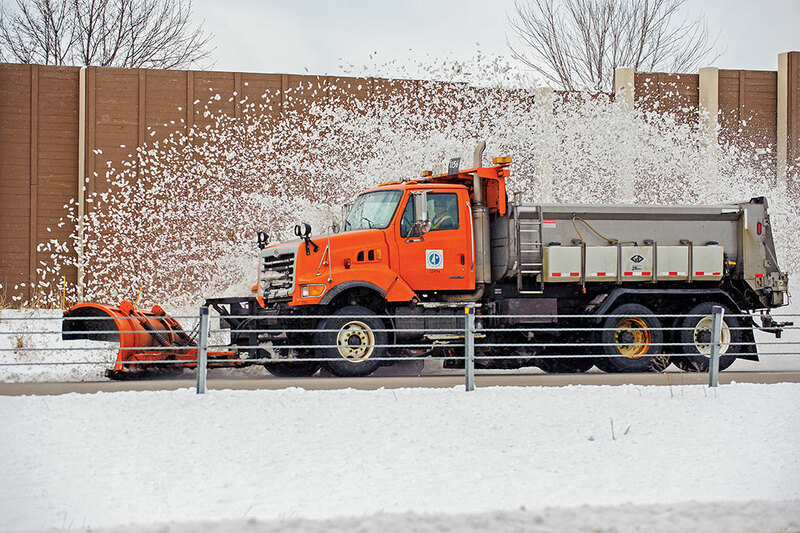 To develop the snowplow training materials, Clear Roads contracted with a team of researchers led by staff at the University of Minnesota’s Center for Transportation Studies. The research team collaborated closely with the Clear Roads technical advisory committee to develop the 22 modules, which contain more than 1,300 presentation slides and provide over 42 hours of training materials. To create the modules, the researchers first examined existing training programs for snowplow operators and supervisors, including courses from state DOTs and computer-based training modules offered by the American Association of State Highway & Transportation Officials. Next, the researchers went straight to the source: Plow drivers and supervisors with decades of experience clearing snowy roads. Clear Roads committee members also contributed specialized knowledge; Colorado DOT’s David Wieder collaborated on the avalanche management module, while Cliff Spoonemore of the Wyoming DOT offered his expertise on drift control. Each module in the Clear Roads training program contains two modes: one for operator training and one for supervisor training. The 22 modules can be used as a complete package or individually, and can be customized and edited. Most modules take 90 to 120 minutes to teach. Training modules on the practical aspects of winter maintenance operations such as plow operation, prewetting techniques, anti-icing tactics and understanding ice formation can aid all operators. The “Plowing Procedures” module covers snowplowing in great detail, from basic to complex procedures. The module includes guidance for one- and two-person plowing operations and various plow configurations (nose plows, reversible and one-way plows, right wing only, left wing only, double wing and underbody plows); information on echelon/gang plowing and tandem plowing techniques and strategies; recommendations for plow speeds and actions in white-out conditions; and plowing tips from experienced drivers. The other two modules covering equipment—trucks and spreaders (including controllers and calibration)—are just as thorough. Five modules on materials usage cover deicing materials and how to use them most effectively, as well as prewetting, brine production and anti-icing. Training modules on practical science address topics such as ice formation, freezing point depression, bridge frost and deicers in the environment. “Principles of Ice Formation” examines the mechanism of traffic compaction, and describes the creation of snow-packed ice, black ice, snow glaze, blow ice and freezing rain—forms of hazardous road ice that scare so many winter drivers the most. “Science of Freeze Point Depressants” makes clear why sodium chloride alone does not work well as a deicer below 15°. “Weather Basics” delves into the science of forecasting, tracking and winter maintenance decision-making. Speaking to growing concern about the harmful environmental effects of excessive chloride retention and transport in watersheds, “Snow/Ice Control Agents and the Environment” focuses on the effects of chlorides, organics and abrasives that escape the roadway and migrate into the soil and groundwater. The essential responsibilities and tasks “off the plow” that agency personnel must address are covered in modules focusing on safety, materials management and policies, levels of service, record-keeping, preparing for winter operations, and winter maintenance for supervisors. Plow operators can be trained on various plow configurations, including nose plows, reversibles, single wing, double wing and underbody plows. The Clear Roads training materials are a boon to local agencies that may not have the resources to develop their own in-house training programs from scratch. And the modules have been a time-saver for larger agencies as well. Todd Miller, maintenance liaison engineer at the Missouri DOT, reiterated the importance of having a high-quality training program for snowplow operators. Clear Roads is encouraging users to provide feedback as they present the modules, and the group plans to update the training materials periodically to reflect the latest innovations and best practices. To access the modules, contact Clear Roads Administrator Greg Waidley at 608.490.0552 or [email protected] . For more about this and other Clear Roads research projects, visit clearroads.org. Van Sluijs is with CTC & Associates, a technical communications consulting firm in Madison, Wis.